Force India has announced that it will use the wind tunnel facilities of Toyota Motorsport. Sahara Force India Formula One Team has announced that it will use the Toyota wind tunnel located in Cologne, Germany from next year onwards. 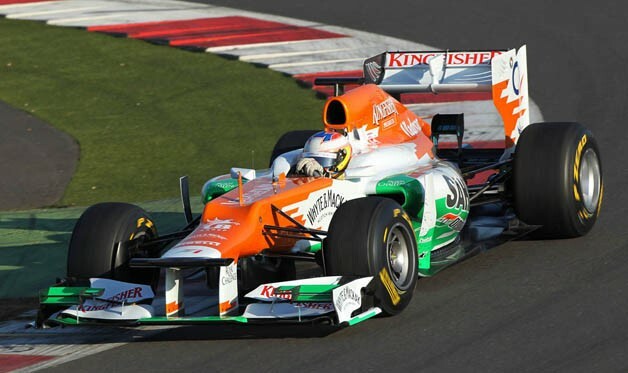 Force India is a Formula One racing team based in Silverstone, United Kingdom with an Indian licence. The team was formed in October 2007 when a group led by Indian businessman Vijay Mallya and Michiel Mol bought the Spyker F1 team for €90 million. They will use these facilities for their aerodynamic testing for the upcoming 2015 Formula One Championship series. Team Principal Vijay Mallya said: “The decision to use Toyota’s facility in Cologne is indicative of our ambitions to continue as a competitive force in Formula One. It’s one of the most significant decisions in our history and gives us access to what is regarded as one of the finest wind tunnels in the world”. This wind tunnel facility was previously used by many teams mostly the Ferrari and McLaren in F1 racing and is considered as one of the best in Europe. The team said it would surely strengthen their future aerodynamic and development capabilities. While the team own wind tunnel facilities in Brackley however will remain available for the external customers. From the words of team boss Vijay Mallya it is one of the “most significant decisions” in the history of Force India. From the F1 regulations 2015 onwards each team can use only one wind tunnel and the nomination for this should be made on or before 1 January 2015. At the Bahrain Grand Prix, Sergio Pérez put Force India on the podium with a third place finish, its first time on the podium since Spa 2009.In Austria, Pérez achieved the third fastest lap in Force India’s history. It’s always a pleasure to hear from someone with expeetisr.